Beaulencourt is a village 3 kilometres south-east of Bapaume on the road to Peronne (N17). From Beaulencourt take the Ligny-Thilloy road. 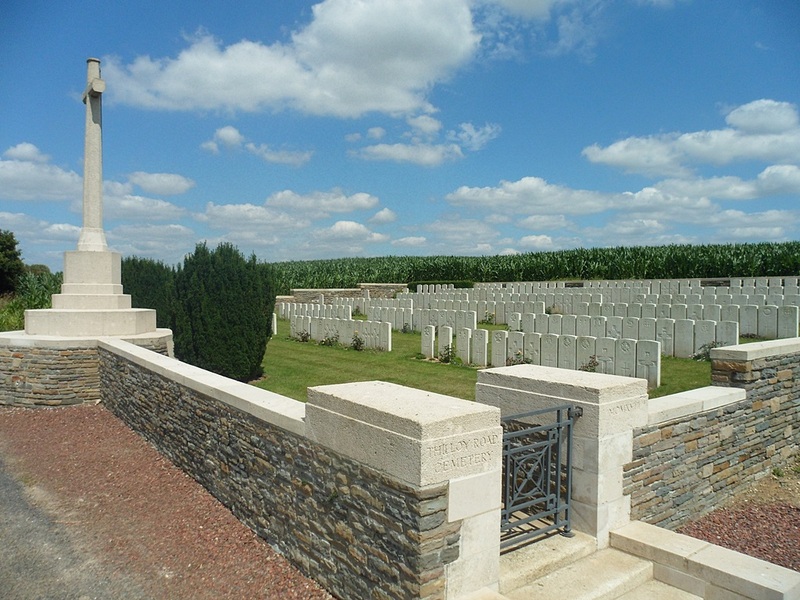 Thilloy Road Cemetery is on a very minor road, just before you reach Beaulencourt British Cemetery, after crossing the motorway. Ligny-Thilloy was captured in March 1917 and Beaulencourt was occupied later in the same month. 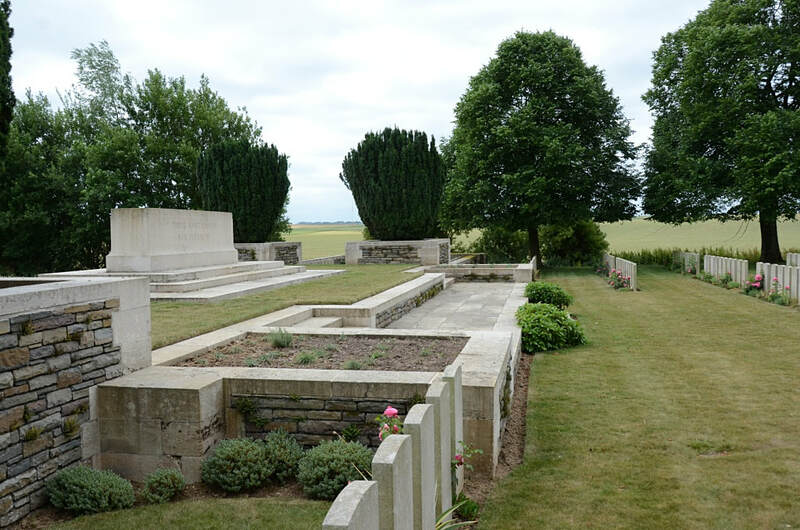 They were both lost on 24-25 March 1918 during the German advance, but recovered after severe fighting at the end of August. 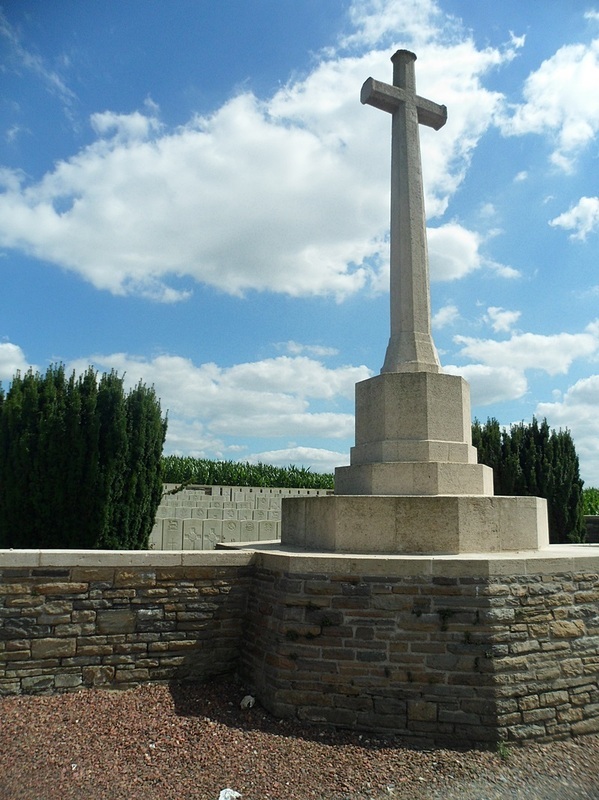 The cemetery was begun by the 53rd Field Ambulance early in September 1918, and used during the latter part of the month and the early part of October by the 3rd, 4th and 43rd Casualty Clearing Stations. 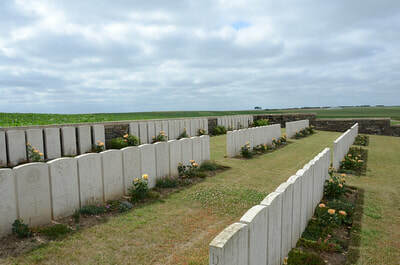 It adjoined a German cemetery of March-August 1918, from which 200 German graves have been removed to larger cemeteries and seven Commonwealth to Favreuil British Cemetery. 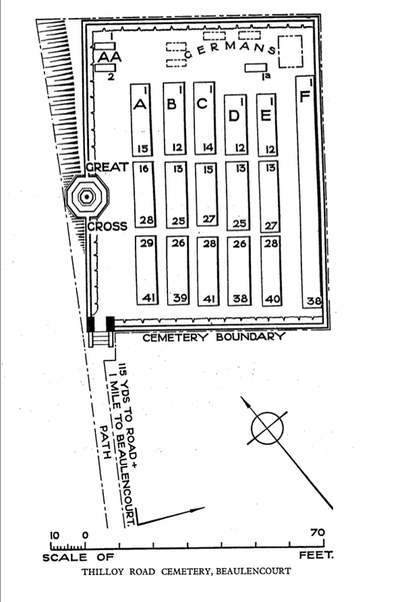 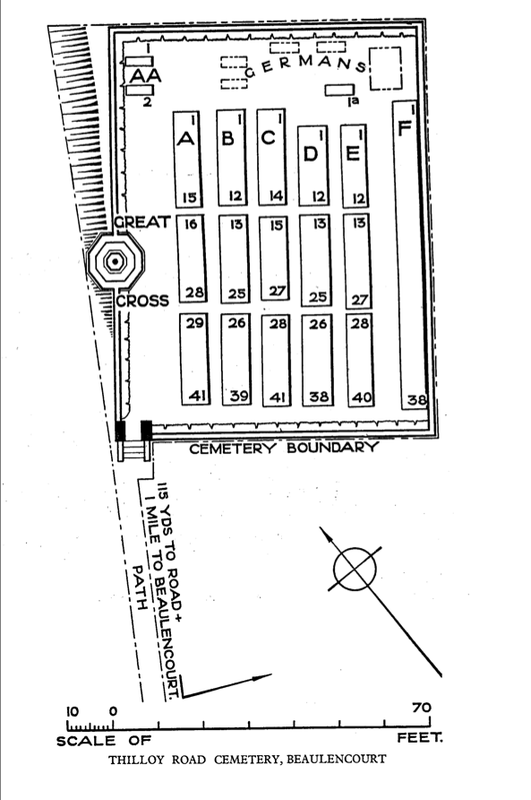 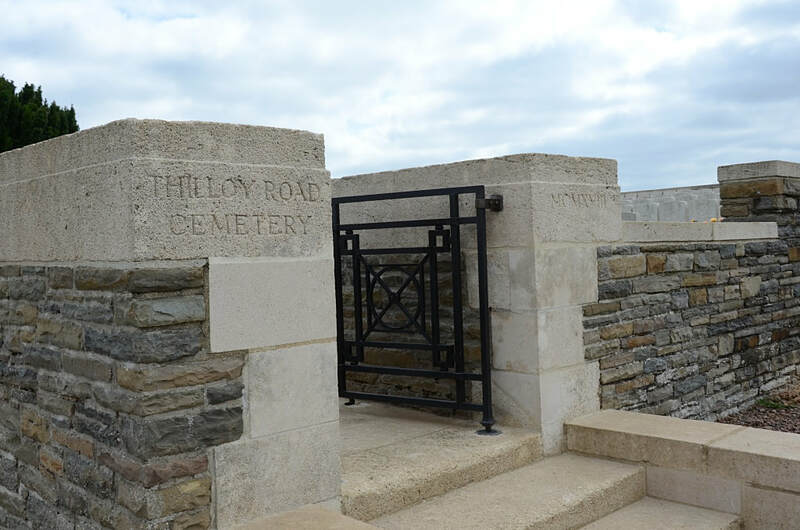 Thilloy Road Cemetery contains 240 Commonwealth burials of the First World War. There are also ten German graves, nine of which are unidentified.